signature songs woven in and out, we learn both the story of her successes on film, radio, and TV, as well as her struggles in her personal life - with a career fading during the advent of rock-and-roll, and her battles with addiction and depression. 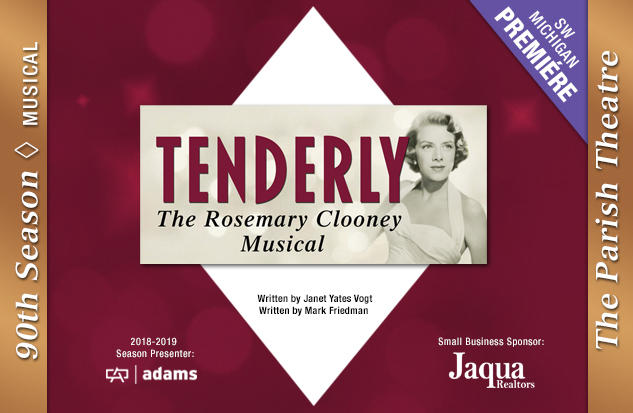 Tenderly includes classic standards by Irving Berlin, Jerry Ross, Harold Arlen, and many others - with songs such as "Tenderly," "Mambo Italiano," "Sisters" and more. The Civic is thrilled to bring audiences this new production by Janet Yates Vogt and Mark Friedman, who also wrote our Civic Youth Theatre productions Sherlock Holmes and the Mystery of the Crown Jewel and Sleepy Hollow, a Musical Tale. "...an intimate and intriguing tale of triumphing over adversity." E-cigarettes (water based smoke) may be used in the show. 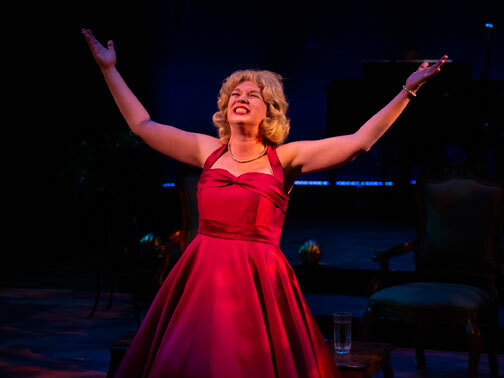 Tenderly: The Rosemary Clooney Musical runs approximately 2 hours and 15 minutes including one 15 minute intermission.